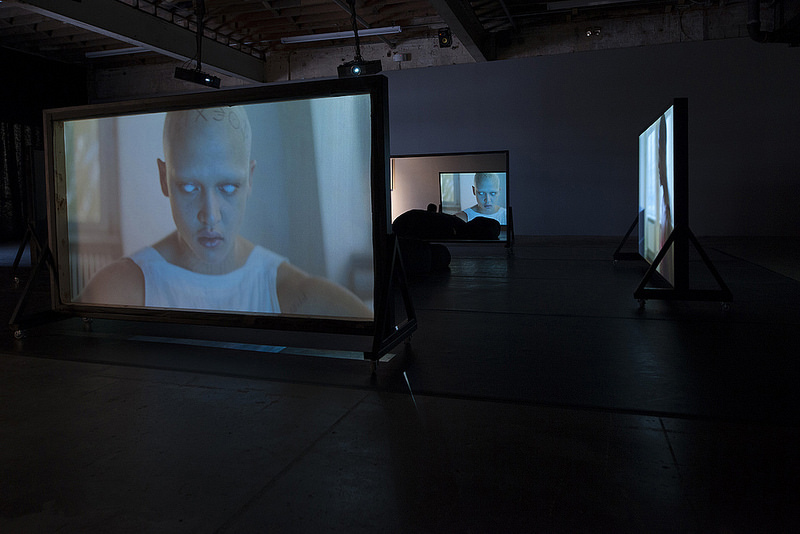 DiverseWorks has commissioned Los Angeles-based artist Wu Tsang to create a video installation and performance, Moved by the Motion, that inhabits a space between fiction and documentary. The exhibition is on view at DiverseWorks from March 15 – May 3, 2014. Tsang is an award-winning filmmaker and performer who explores the relationship between self, identity, and the narratives that construct them. 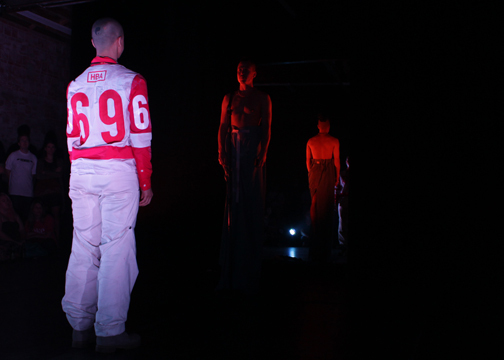 Moved by the Motion is the first in a series of performances and works to premiere in Houston by Wu Tsang. 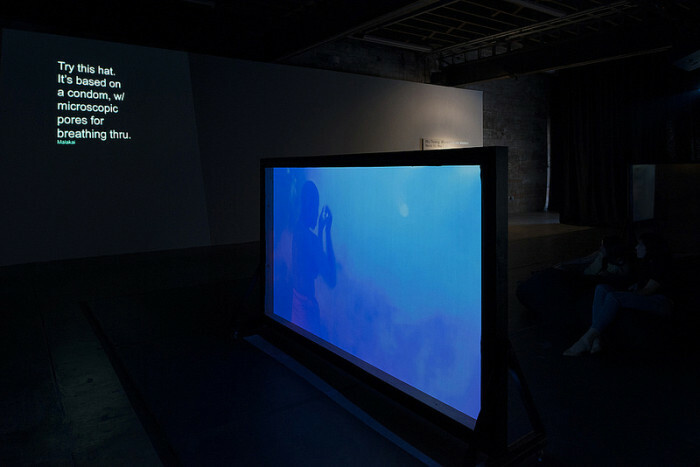 Over the course of 2014-15, several related projects will be presented, including a live performance at DiverseWorks as part of CounterCurrent in collaboration with the University of Houston Cynthia Woods Mitchell Center for the Arts (Saturday April 12, 2014), and a video installation in the exhibition Double Life at the Contemporary Arts Museum Houston (December 19, 2014 – March 13, 2015). Moved by the Motion features a 2-channel film installation that explores the sensorial potential of pictures in relation to narrative. Working in a tradition of artist-filmmakers, Tsang looks at the role that fantasy plays in representing social movements. 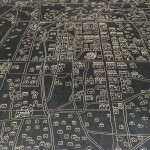 Evoking “the underground” as a site of cultural resistance, he considers how these constructs have been transformed by contemporary life and social media. 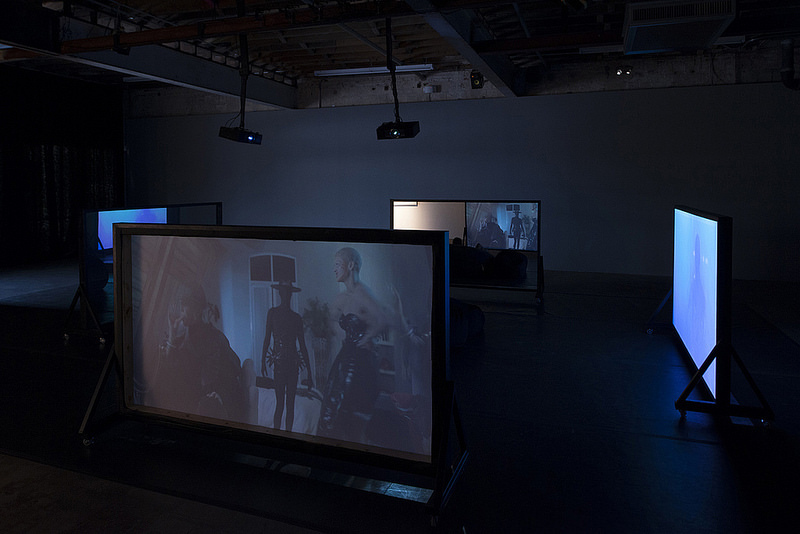 Playing with sci-fi and biopic film genres, Tsang’s filmic installation has been developed in Berlin, Mexico City, and Houston. Moved by the Motion features an ongoing collaboration with the performer boychild, whose visceral and vivid performances bring a sense of other-worldliness to the body. 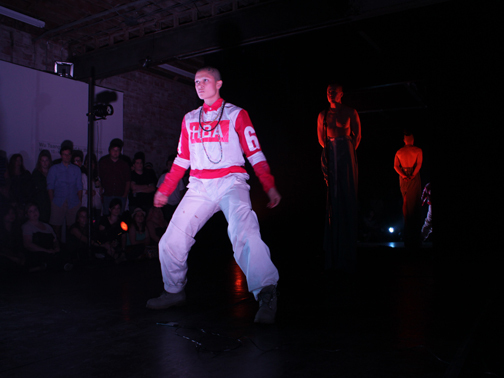 The live performance on April 12 will take place within the exhibition installation, with an after party to follow. 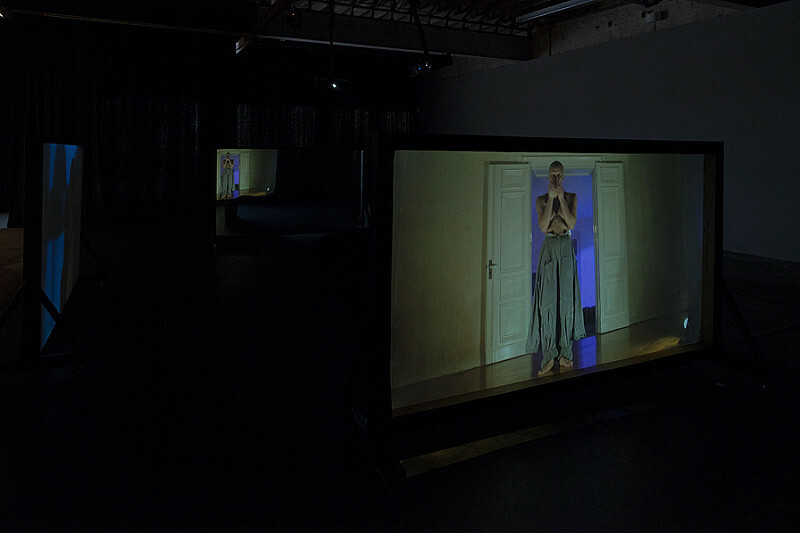 Central to the exhibition is a 2-channel film entitled A day in the life of bliss, which simultaneously explores cinematic and performative narrative. 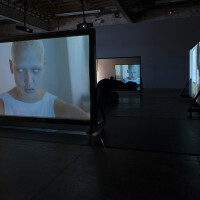 The film follows BLIS (played by boychild), who inhabits a “near future” world in which our social media avatars and online personas develop their own hive-minded consciousness called LOOKS. Blis, a celebrity-collaborator by day and underground performer by night, discovers her ability to challenge the Looks. 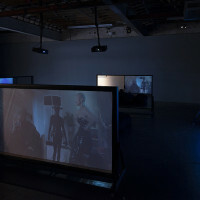 Utilizing sci-fi genre tropes and melodrama, the film evokes a classic “outsider” narrative that is complicated by affect, movement, and body politics. 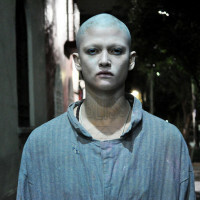 Wu Tsang is a Los Angeles based filmmaker, artist, and performer. His projects have been presented at the Tate Modern (London); the Whitney Museum of American Art, the Museum of Modern Art, and the New Museum (New York); ICA (Philadelphia); and MOCA and REDCAT (Los Angeles). In 2012, he participated in the Whitney Biennial and New Museum Triennial (New York), Gwangju Biennial (South Korea), and Liverpool Biennial (UK). He was named one of Filmmaker Magazine’s “25 New Faces of Independent Film” in 2012, and is a Film Independent Project:Involve alum. His first feature WILDNESS won multiple awards, including the Grand Jury Prize for Outstanding Documentary at Outfest 2012. WILDNESS had its world premiere at MoMA Documentary Fortnight (New York, NY), and was screened at SXSW (Austin, TX), Hot Docs (Toronto, Canada), and SANFIC8 (Santiago, Chile), among other festivals. Tsang was recently selected as one of 35 artists included in the Hammer Museum’s Made in L.A. 2014 biennial. DiverseWorks is a non-profit art center in Houston, Texas dedicated to commissioning and presenting new visual, performing, and literary art. 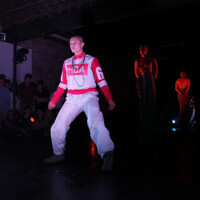 DiverseWorks is a place where the process of creating art is valued and where artists can test new ideas in the public arena. 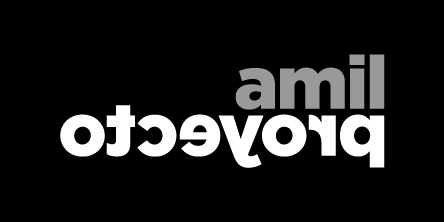 By encouraging the investigation of current artistic, cultural, and social issues, DiverseWorks builds, educates, and sustains audiences for contemporary art.